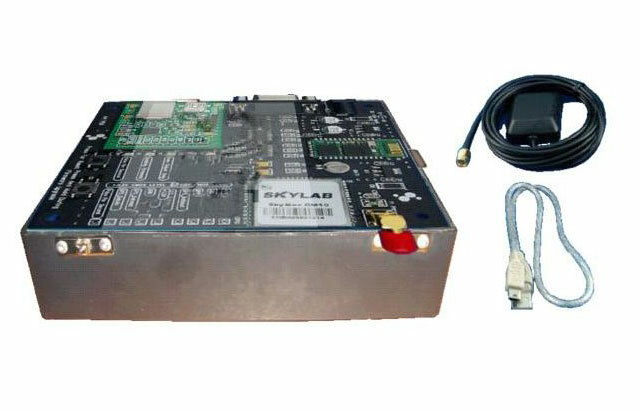 Ultra Fast GPS Trainer is a 12 channel continuous tracking GPS receiver optimized for high sensitivity and low cost applications. The GPS signal is applied to the antenna input of the module, and a complete serial data message with position, velocity and time information is presented at the serial interface. Ultra Fast GPS Trainer contains a low noise amplifier for passive antenna operation, RF down converter, baseband processor, flash memory and navigation software. The module provides excellent navigation performance under static or dynamic conditions in areas with limited sky view like urban canyons, fast TTFF for weak signal operation. Power saving mode make Ultra Fast GPS Trainer suitable for handheld and battery-operated devices. Jerk : 20 Meters / sec-3 max.